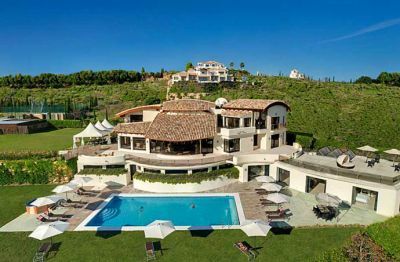 This apartment has a great location. 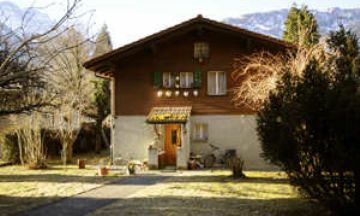 In spite of the chalet's close proximity to town, its tranquil setting on a large, green lot with no through street provides a peaceful, remote atmosphere, perfect for a vacation. 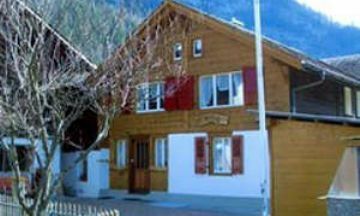 The Ming vacation rental in the charming village of Lungern is a comfortable and well-equipped apartment. 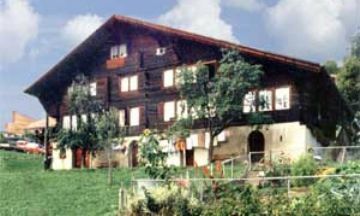 Lungern is a serene pastoral village nestled on the shore of turquoise Lake Lungern at the foothill of Hasliberg mountain. 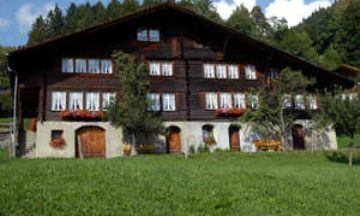 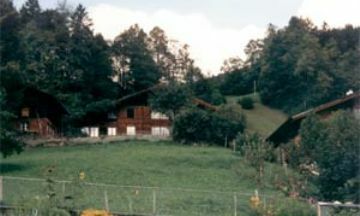 The Mälchplatz vacation rental (Swiss-German dialect for "milking place") is named after the broad open meadow where the chalet is located. 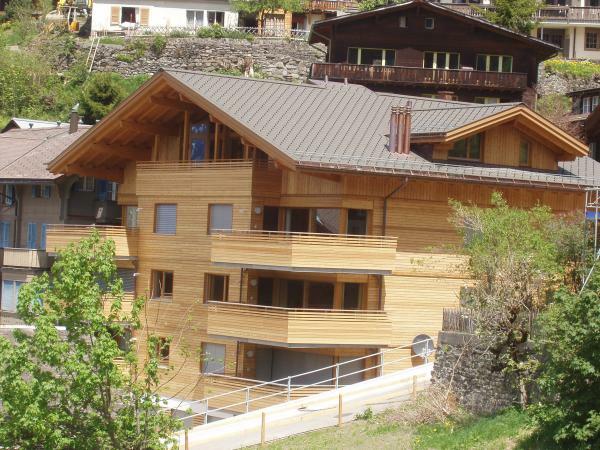 This traditional chalet is in a quiet location and offers virtually unrestricted alpine views in three directions. 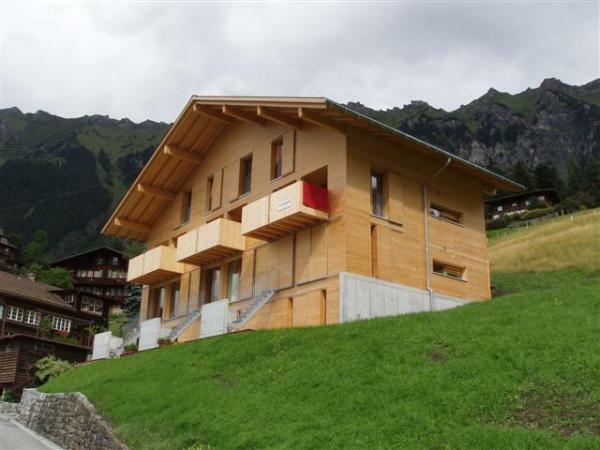 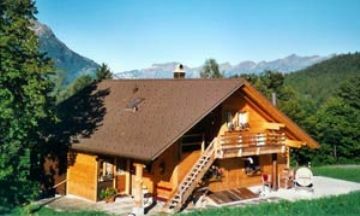 The Neiger vacation rental is located between the alpine villages of Goldern and Reuti at an altitude of about 3,600 feet. 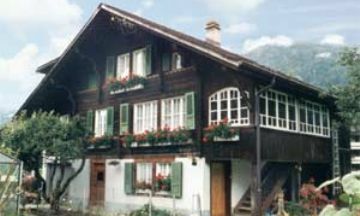 The house is a classic Bernese alpine chalet, surrounded by a beautiful country garden. 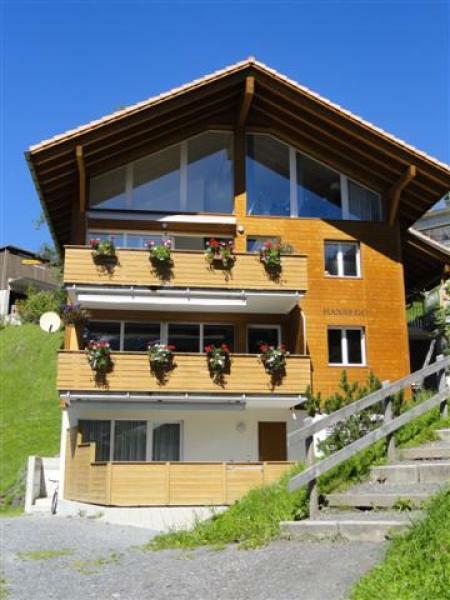 The Chalet Annie is located below the main street of the Hasliberg mountain village of Hohfluh on the ground floor of a beautiful chalet style house. 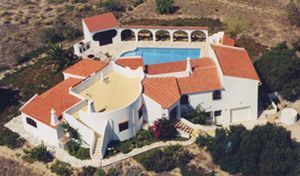 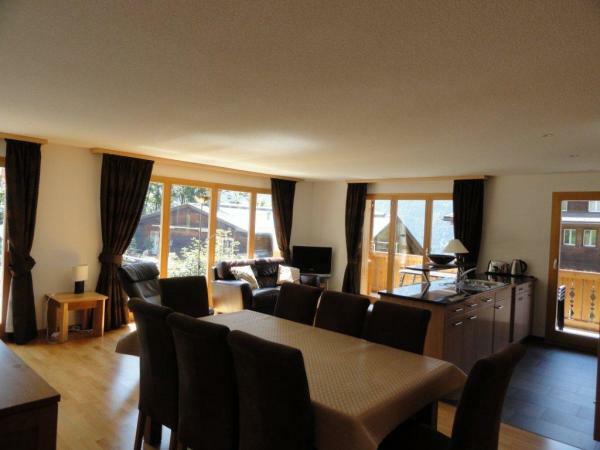 The rental apartment is a delightful “home-away-from-home” for two adults or a family with children. 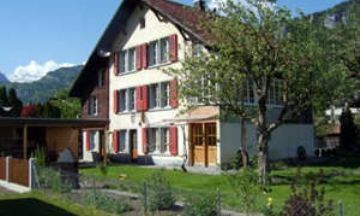 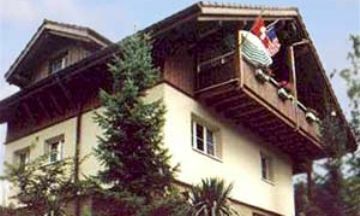 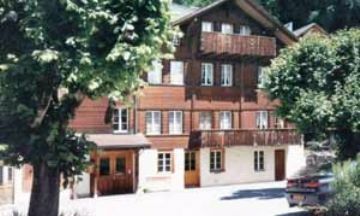 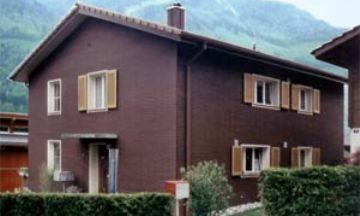 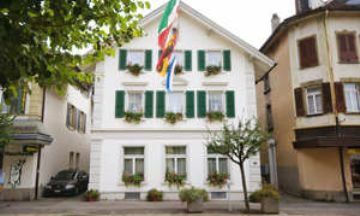 The Chalet Erika vacation rental is located in a quiet residential neighborhood just a few blocks from Meiringen’s main street. 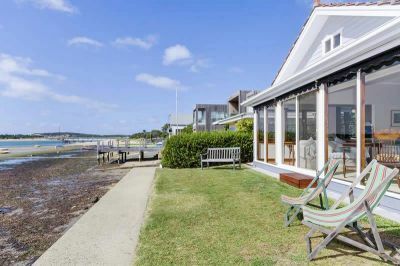 Just a walk away are banks, shops, and restaurants. 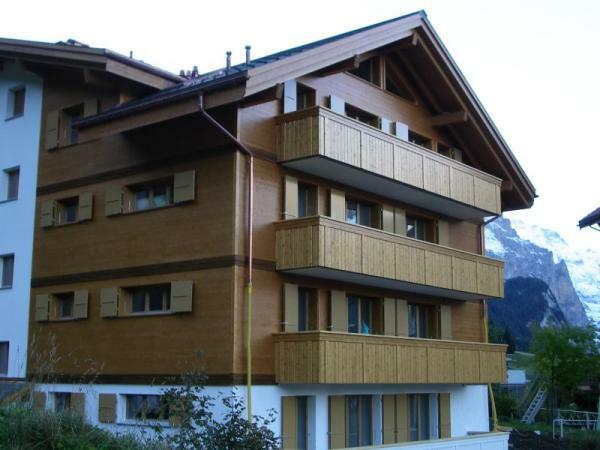 The apartment is on the third floor (about 30 steps up from street level) of a recently renovated three-story townhouse. 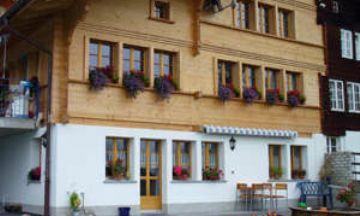 Take a nice walk and eat at a great restaurant or just check out the local shops. 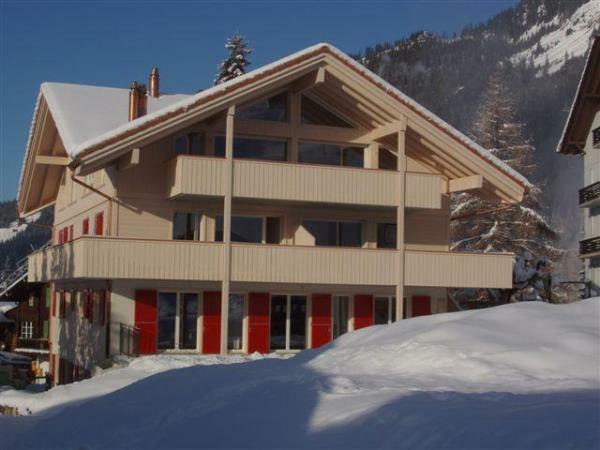 The Willi apartment is located in a charming, traditional, family chalet. 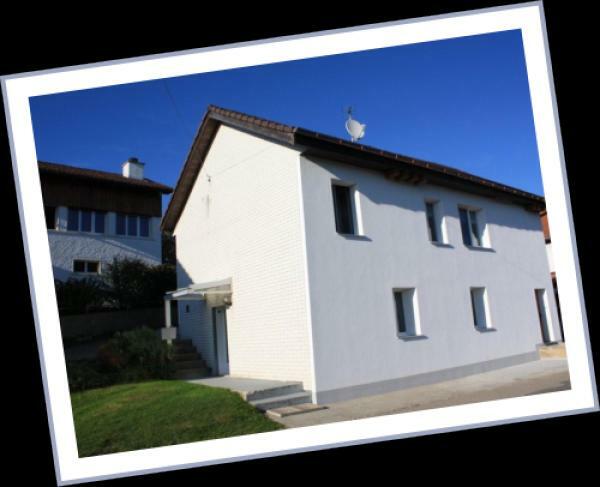 The other feature that makes this apartment desirable is its location in the center of the village.